The following history appeared in the 1972 Ely Centennial commemorative book. St. Quentin Post No. 555, Ely, Iowa, held its first meeting in March 1921. This first organizational meeting was held in the brick building on the south-west corner of Dows and Main Streets. St. Quentin was approved as the name the Ely post would use because Charles Noska and Joe Dvorak were killed in action near St. Quentin. Six charter members were transferred from Hanford Post of Cedar Rapids: Charles C. Clark, Leonard V. Truhlar, Louis W. Jonas, Lumir Truhlar, John A. Hanus, and Frank Wt Elias. In the infancy of the organization there was a realized need for a community building and a commemotatory to those who fought and died in World War I for the freedom of the world. A sum of $578 was pledged by Legion members and people of the community for the construction of a memorial hall. 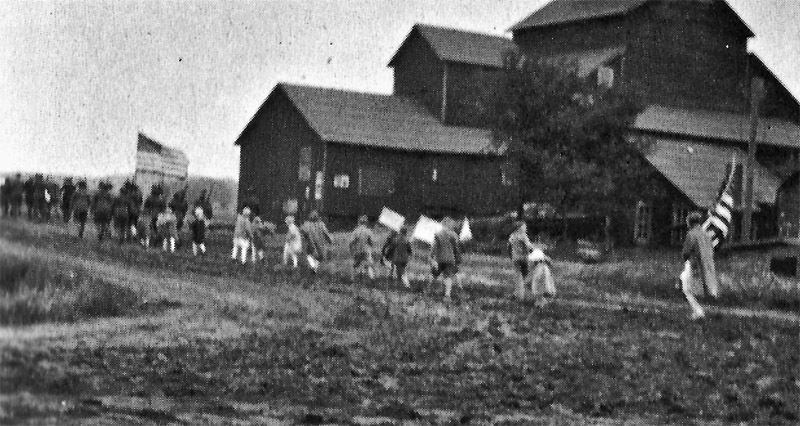 Twenty-two individuals, members of St. Quentin Post or the community, agreed to donate free without any obligation sixty hours of working time on or towards the building of the Legion hall or donate the sum of money equal to 30¢ an hour for all hours short of the sixty hours. A lot was purchased from F. R. Graham for the amount of $1,400 on April 21, 1922. Plans were made to construct a new building, but in the final decision the new building lost out by one vote. 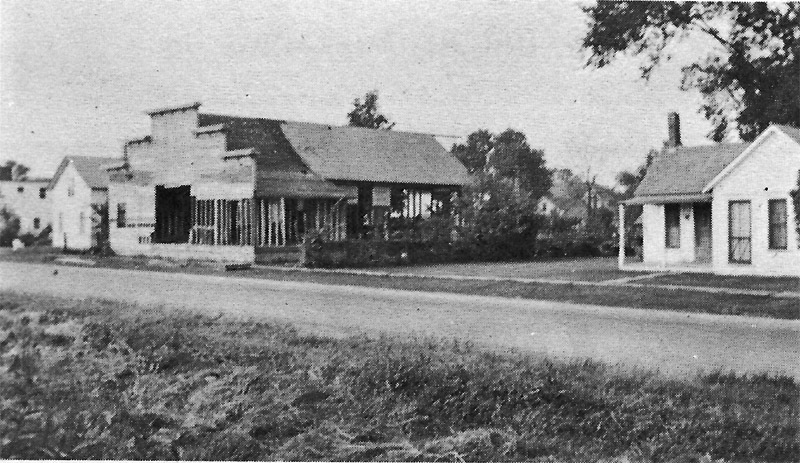 In 1923 the Post purchased two old school buildings from the Ely school district and moved them to their lot. Frank Halva cut trees and sawed out timbers with his saw mill to build a moving rig to transport the school buildings to the new site. Mobile power was supplied by a steam engine owned and operated by Charles Biderman. A burned out clutch was one of the many problems encountered in moving the buildings. The smaller of the two schools was placed upon a basement foundation providing a stage, with the larger building placed on a foundation providing the auditorium area. In 1928 an addition lengthened the structure so it could be used as a basketball court. Ely High School used the Legion Hall as its home basketball court until the school closed. Almost all of the community functions were held in the Legion Hall. In the early 1930’s the building was used by the school and community to the extent that Legion meetings were held elsewhere. Many performances of Ely school plays were held in the hall. A war picture that decorated the stage drop was painted by Kalous. 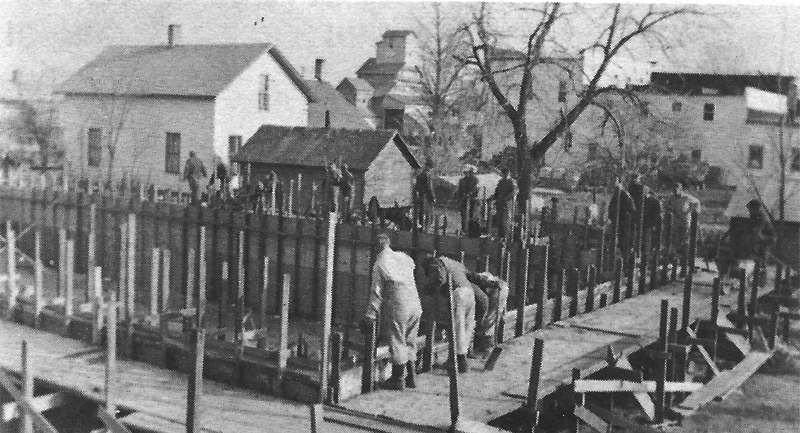 With the return of men from World War II the Legion membership grew and the desire to have a bigger and better Legion Hall developed. Construction began in 1954 and the structure was completed in 1955. A very impressive masonry building was the end result, with a large stage and auditorium on the main floor and a full basement with complete kitchen below. 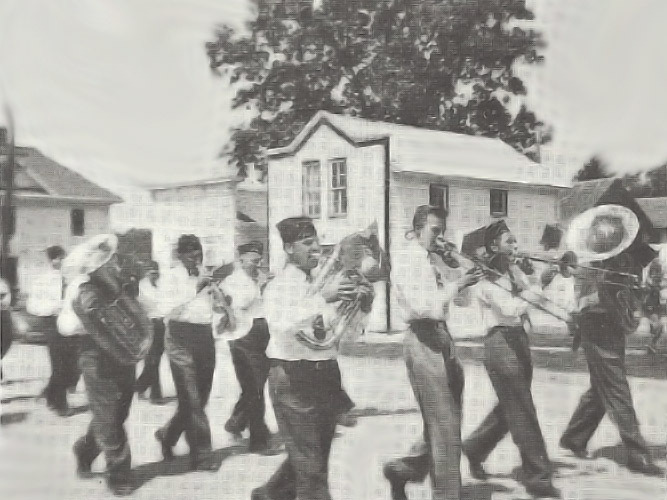 Fund raising drives and functions involved the Legion and Auxiliary members from the beginning. One of the earliest and possibly most memorable fund raising event to the individuals involved were the plays given. “The Night Riders” and “Stars and Stripes in France Forever” played to audiences at Swisher, North Liberty, Fairfax, and Ely. The cast of characters was made up of Legion and Auxiliary members plus other local talent. Legion Auxiliary members began lunching farm sales in 1962 as another venture in raising money. Dances and stags were also used as a means of raising needed funds. Memorial Day and Armistice Day have been ob-served by the Ely Post since its beginning. Memorial services were held at Anderson, Baker, Sulek, Rogers Grove, St. Peter and Paul, Shueyville, and Western Cemeteries, oftentimes two on the same day. In 1946 permanent lots were purchased at Rogers Grove Cemetery and Memorial Day services have been held there since. An oyster stew supper on Armistice Day has been the tradition of past years. St. Quentin Post in 1972 is serving the community as it has done in the past fifty years.